If you go down to the woods today, you won't need a teddy bear's picnic, With the delicious range of food on offer, there is something for every taste. 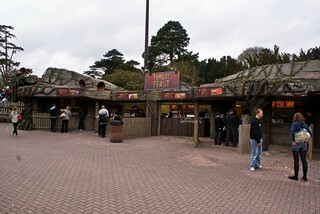 In 2016 Forest Feast briefly closed as part of the Alton TLC programme, it reopened mid-season, but ran on reduced hours through to the end of 2017. In 2018 operation of the unit was taken over by the external team who run Eastern Express, meaning a return to full opening hours as well as a change in menu.